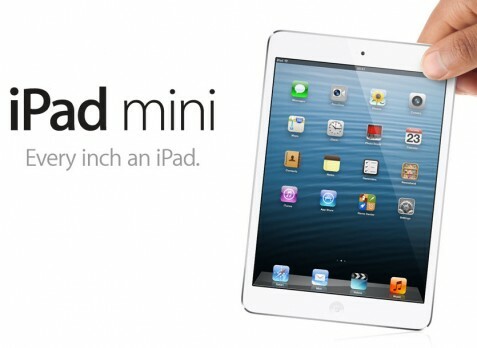 Apples's biggest launch evening of the decade took place were Apple launched the long awaited iPad Mini. The iPad Mini launch comes as no great shock, but as the reviews roll in, what remains surprising is how Apple has reacted to the 7-inch tablet hype. The charge towards smaller tablet form factors, led by the Google Nexus 7 and Kindle Fire HD, has finally been endorsed by Apple. After watching Tim Cook address an intimate gathering of tech folk from around the world here in San Jose, we've just spent a bit of time playing with the iPad Mini. 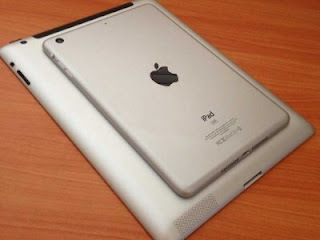 Here are our initial thoughts pending a full iPad Mini review as soon as possible. Lighter and thinner than we'd thought when watching the Keynote, the iPad Mini fits comfortably in one hand, with the reduced-size side bezels giving seemingly more screen real-estate than the Nexus 7. Jony Ive said that Apple had built the iPad Mini from the ground up, rather than just shrinking the bigger iPad 3. It shows. The rounded edges are reminiscent of the widely loved iPhone 3G and it feels durable enough to sling in a bag. It's 7.2mm thin (23% thinner than the big iPad) and 308g (Wi-Fi-only model) light. The volume and screen-rotation lock buttons have moved to the right-hand side and the headphone socket is placed on the top, rather than the bottom, where stereo speakers and the new Lightning connector can be found. Reading a book works well – especially with the updated iBooks continuous streaming feature - because of the reduced weight and size. It's a definite competitor to the Kindle in this regard. The LED-backlit screen looks fantastic on the 7.9-inch display. Colours are vivid, text is pin sharp, web pages render quickly and, because there's almost a 4:3 ratio going on, you get a lot of content on page. It feels squarer than the bigger iPad, but definitely works as, arguably, a better mobile experience than its bigger brother. The back-facing 5MP iSight camera is similar to what we've seen on bigger iPads. Taking pictures or video is easier with one hand, purely because of the Mini's size. In the wild, it's much more manageable than the iPad. Still shots that we took were ok, but 1080p video is more impressive. With stabilisation kicking in, plus integration with iOS 6, getting video content online will be easy. Hard to tell in the 15 mins that we had with the iPad Mini, but the A5 processor powered apps, games and websites along very smoothly. It's loaded with LTE, which means you'll be able to use it on EE's 4G network in the UK. 5GHz WiFi means super fast browsing with compatible routers, too. Our experience was impressive and we can't wait to give it a proper run in the coming weeks. We'd go as far as saying that the iPad Mini is our favourite iPad yet. The smaller size, thinner shape and lighter weight makes for a much better mobile experience. It's easy to hold and manipulate in the hand but feels durable and well-built enough to accompany you throughout the day. It's definitely more premium that we were expecting. The main sticking point, however, is price and at £269 for the entry level Wi-Fi model, it's £100 more than the Google Nexus 7. The iPad Mini will undoubtedly sell like hot cakes and will be at the top of many people's Christmas wish list, but the price still gives Android tabs a place in the market.